I've already recommended the first season of Alex Blumberg's podcast Startup. Listening to it took me back to the time when I was co-founding a company in 1997. Alex's descriptions of the excitement, anxiety and head-spinning questions that come with creating a new thing from scratch (e.g. the long conversations with my co-founder about picking a company name, the moments of doubt about whether the business would really launch, what it felt like the first time we had real money in the bank account, etc.) very much resonate with many of my own experiences. It calls to my entrepreneurial inclinations and helps me imagine a day when I might again create a startup. It also helps me appreciate how intense and hard that experience was, and would surely be again. For most of my professional life, I've been the person that other people work for. As I made the transition to working for Automattic, I wondered what it would be like to work for someone else. Would I feel a loss of autonomy and ownership in my work? Would I find myself irritated at having decisions handed down by someone else? Would I be restless to go back to being at the "top" again? Putting aside the wealth one might or might not accumulate from being an early investor in a startup, it turns out that "running a business" versus "working for someone else" is often a false distinction in the Automattic case. People sometimes idealize being a founder or business owner as having a kind of unlimited freedom and power. But I think most business owners would describe themselves as anything but unencumbered. And if you do it the way I tried to, attempting to live out servant leadership, the ideal is pretty far from reality. I actually never referred to myself or thought of myself as "the boss" of anything or anyone. I was there to collaborate with my co-workers, serve our clients and help facilitate the best possible outcomes for our company. I made executive decisions along the way and there were certainly moments where boss-like power was exercised, but I tried to be careful not to wield my authority just because I could. Most of the time, I asked how I could help the people and systems around me operate more effectively and efficiently. In the best moments, this meant I got to work alongside good people in exciting and creative endeavors, see the fruits of our efforts benefit our clients as we launched something interesting, useful or meaningful into the world, and advance the values and mission of a corporate venture I felt strongly about. In the worst moments, it meant being awake at night worrying about keeping my employees happy and engaged, dealing with difficult client or project situations, and being disappointed about straying from the kind of projects and activities that I'd set out to tackle in the first place. These moments were relatively rare and I think I mostly handled them fine, but as the company grew and its health became a bigger factor in more people's lives, there was a proportional and ongoing low-level stress associated with being ultimately responsible for making it all work. This stress is normal, but it's only sustainable for as long as the passion for what you're doing outweighs it. By going to work for someone else, I was partly admitting that my passion for managing and growing a particular version of my own company had run its course. That didn't preclude me from again being in the position of being driven to create and grow a company, but I also knew that for the time being I wanted to be rid of the highs and lows of small business ownership. There are still many jobs and employers where "going to work for someone" means being subjected to strict hierarchical decision-making, abrasive or even problematic supervision practices, uncomfortable working conditions, and a relentless focus on the bottom line over all else. Then there are jobs where the working environment is pleasant, coworkers and supervisors are professional, and the work is perhaps interesting enough - but where there's not much passion or purpose underneath. I knew that I probably couldn't handle either scenario. Fortunately, Automattic is neither. The working environment is interesting, stimulating and constantly changing. My coworkers are smart, competent, funny and dedicated. Many of them have come to the company from being founders or small business owners themselves. The decision-making structure is mostly decentralized, mostly self-directed and gladly chaotic. Yes, our founder/CEO's preferences and opinions are weighty and if he ultimately sets a course of action, it's the way we go. But I think this is as it should be, and I appreciate that he devotes an unusual amount of time to making his thinking available for scrutiny, clarification and even dissent. 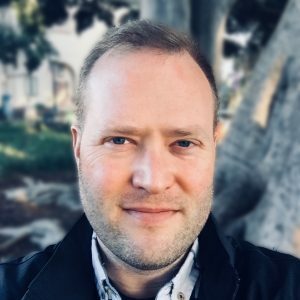 In recent months I've taken on some team leadership responsibilities at Automattic, but even before that if I want to create or lead some new initiative, I felt invited to make the case for it at any time, knowing my ideas would be received with just as much openness as they would coming from someone in a more formal leadership role. Underneath it all is a passion and sense of purpose that reverberates throughout what we do and echoes the way I felt when I was co-founding my own business. So guess what I end up doing as a part of "working for someone else"? I work alongside good people in exciting and creative endeavors, see the fruits of our efforts benefit our clients and users as we launched something interesting, useful or meaningful into the world, and advance the values and mission of a corporate venture I feel strongly about. Not being alone at the "top" of an organization I'm ultimately responsible for is, for now, a welcome relief. My thoughts and energies can stay more focused. My vacations are more rejuvenating. If I have a problem I can't solve, there are many other people who can help me. If I experience stress in what I do at my job, it's now mostly the kind that powers me through interesting challenges instead of keeping me awake at night. For the longest time I was "that guy who owns that tech business." Where I live in the midwest, small business ownership is a pretty easily understandable and relatable thing. Even if people didn't get exactly what we did ("you do computers, right? "), they could appreciate the basics of creating and growing a company. I hope and think that many people noticed the high standards we practiced and successful outcomes that resulted, but often (for better or worse) just being a small business owner was considered a defining point of identity (if not credibility) in itself. So many people in my town have always seen me through this lens. Now I'm no longer a founder or owner, I'm "just" an employee. Moreover, I'm an employee at a company most people haven't heard of by name (though many people know the name WordPress), that doesn't really have a headquarters, and that is doing work that can take a few elevator rides to explain properly. The concept and appeal of remote work are challenging to some people. And even close friends and family members sometimes still ask me to re-explain exactly what it is I do. Despite being very proud to work at Automattic, early on in my local community I felt pretty insecure about this change. When people who'd always known me in my previous professional identity asked about it, I was sheepish in describing the shift. This was mostly because I was still figuring out what it meant for me and how I felt about it, let alone how to verbalize that to others. Today, I feel much more settled in my professional life and identity. I can talk much more easily about what it meant to wind down my previous company, discern what I wanted to do next, and then find myself in a completely new adventure. I can share excitedly about some of the things my team does at Automattic, and the interesting clients we work with. But when someone who I don't speak with often asks "how's Summersault?" (as happened just this week) I still have to collect myself for a beat before giving them the update. For so long, getting up and going to an office with other people in it gave me a sense of routine, purpose and place about where and when most of my work happened. 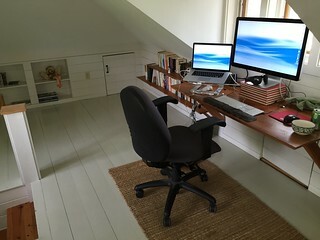 It wasn't always a sharply drawn line - I'd do work from home or other cities, I'd work on some personal projects while at the office - but for the most part my environment for doing work was distinctly different from other ways I'd spend time. That's not necessarily a function of being a business creator - many founders now don't go to an office regularly or at all - but in my case our investment in office space and the practice of having our team work in the same physical space together was very intentional. (As I've written, I think there's still a lot of value to be found in that configuration, in an ideal world.) 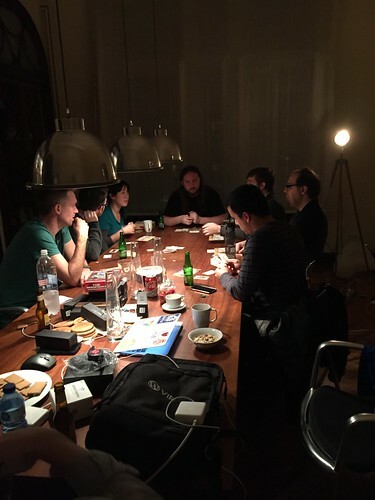 In the couple of times I'd worked remotely for a month or two while the rest of my team was together, some things were just harder, and I noticed myself craving more social interaction than I was getting. 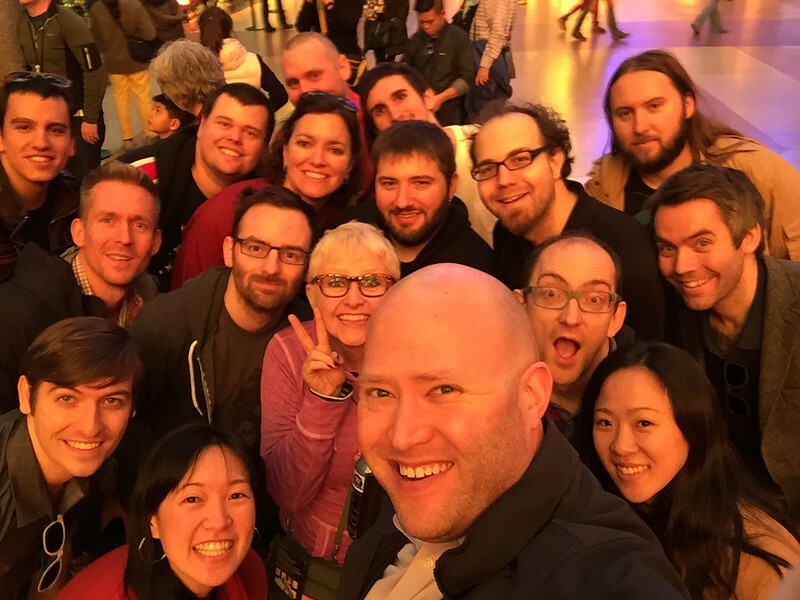 So when I started at Automattic, it was a little daunting to be headed back into remote/distributed work, and I definitely wondered how I'd cope with it. At its best it has brought a lot of new freedom. I can work from pretty much anywhere, travel to and live in interesting places along the way, work when I'm most productive and stop work when I'm not, and I can use tools and equipment that are just right for me. It facilitates an easier blending of "work life" and "the rest of life" that I've always pursued. It encourages a discipline and intentionality about how I spend my time. I've been doing it long enough now that it would be very difficult to go back to a model of work only happening in a certain time, at certain place, and when I and certain other people are expected to be creative and productive on demand. But it's not always rainbows and unicorns. At its worst, distributed work is disorienting and lonely. After so many hours sitting in a room by myself staring at a screen, my sense of worth and identity can become distorted. In my previous company, even though we didn't have any physical products to show or much physical stuff moving around at all, having a bunch of desks and computers and people working together in an office felt like proof (however shallow) that something was happening. Now, it's much easier to question what exactly it is I'm contributing to the world. Even when I go work in coffeeshops or coworking spaces, or when I'm gathered in person with my colleagues, I can find myself envious of people who regularly work in person with others, sharing together often in moments of celebration, challenge or exploration. And as much as I have come to appreciate the utility of text-based chat, video conferences and planned meetups, there are still plenty of times when I just want to have a spontaneous gathering of my colleagues in a room where we can whiteboard some stuff out, talk something through, and just experience each others` personalities and presence full on. Remote workers want community too. Automattic goes to great lengths to make distributed work a pleasant experience, and our company leadership has instilled a great spirit of experimentation even as changes we make affect more and more people. There are tons of resources and experiences available that help mitigate some of the harder parts. So far, the benefits far outweigh the challenges. You can probably see a theme in the above - there's a lot of good stuff, there are things I'm adjusting to, and I still have plenty to learn. 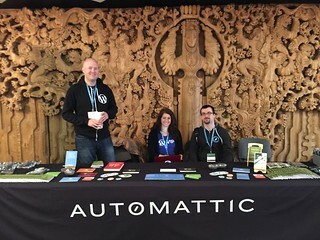 I think the bottom line for me is that if it was going to be possible to successfully and smoothly shift from being an owner of my own company to an employee somewhere else and still feel ownership of and engagement in my work, Automattic was the place to do it. I am really fortunate that we found each other at just the right time. Happy Anniversary (or, as some call it internally, Automattversary) to me!